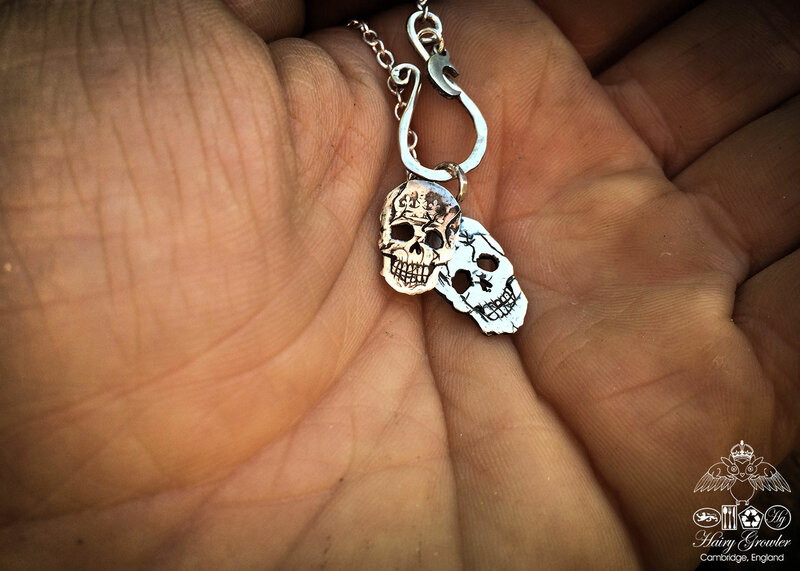 These lovely little skulls are individually handcrafted from 100 year old sterling silver coins and are perfect for guys and girls. A pair of sixpence and threepence coins are lovingly recycled, these coins are unwanted by coin collectors due to wear through decades of historical transactions. 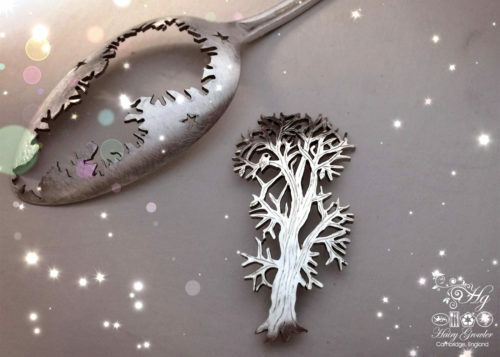 They are particularly difficult to cut, carve and engrave because the space is small at only 16 mm diameter working area. 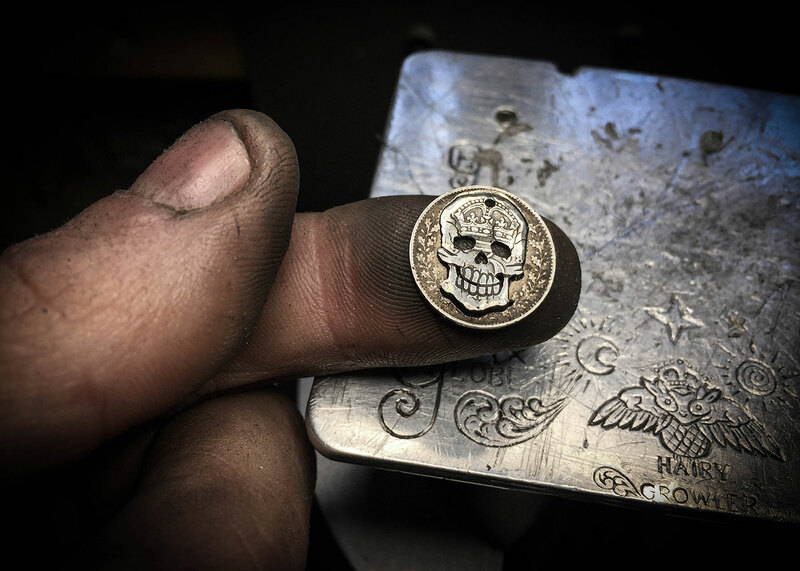 Using an ultra fine marker pen a quick inspired skull sketch is dropped on to the surface of the silver coin. 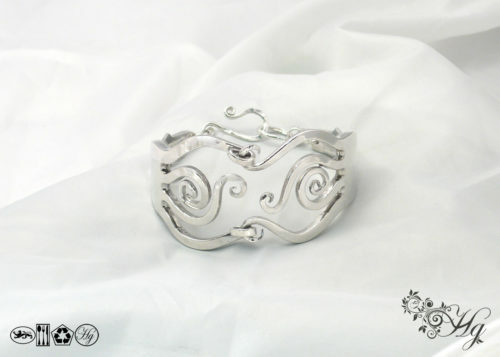 I then meticulously carve away the design with a traditional hand engraving tool and cut details using a traditional jewellers saw. 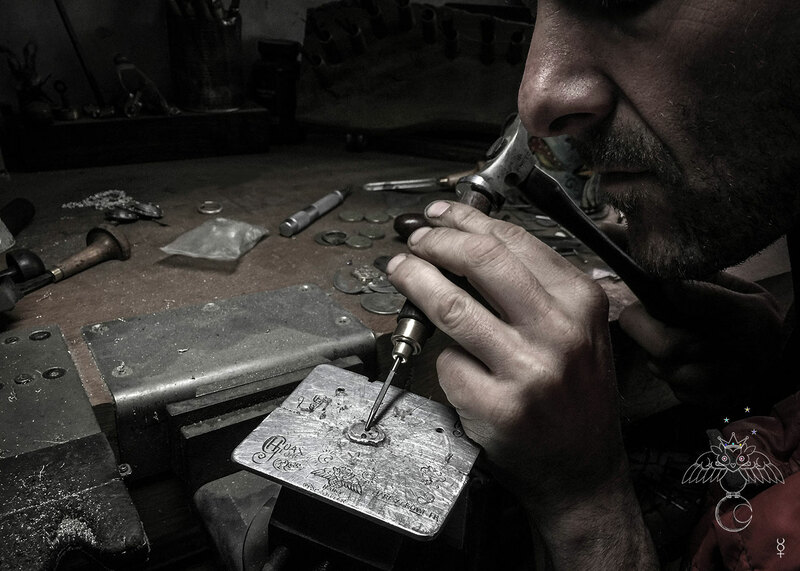 Once the details are cut the pendant is given an extremely bright polishing which really brings the coin to life. 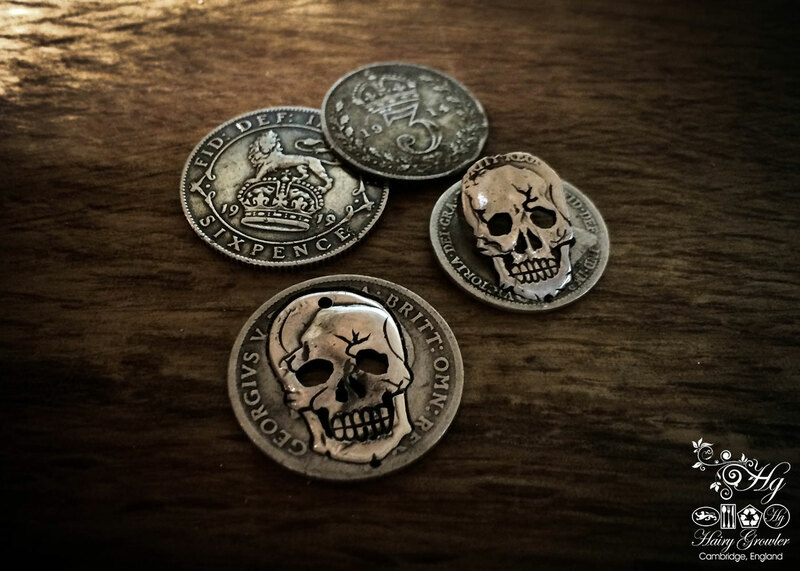 I hand cut each pair of silver coin skulls individually to order every one is completely unique and unusual. They look and feel special. 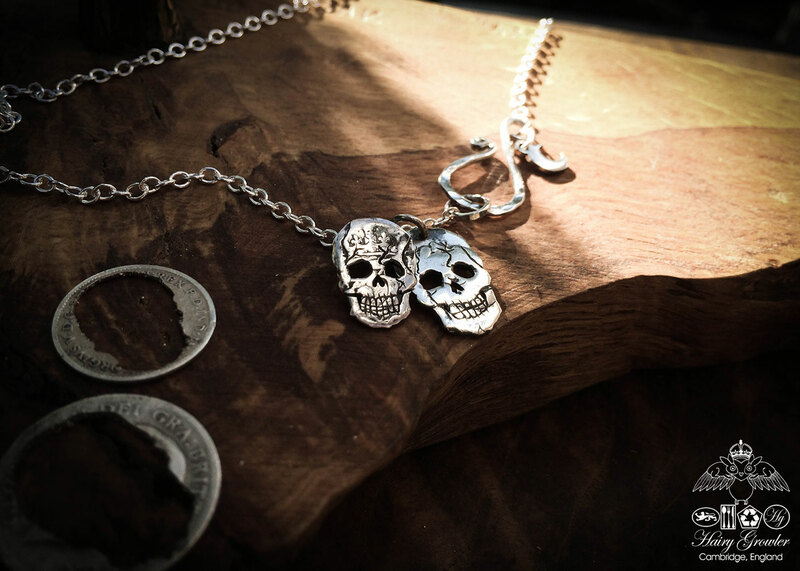 An ‘off-cut’ of the donor coin is included to connect the wearer to the necklaces ethical origins and its unusual history. 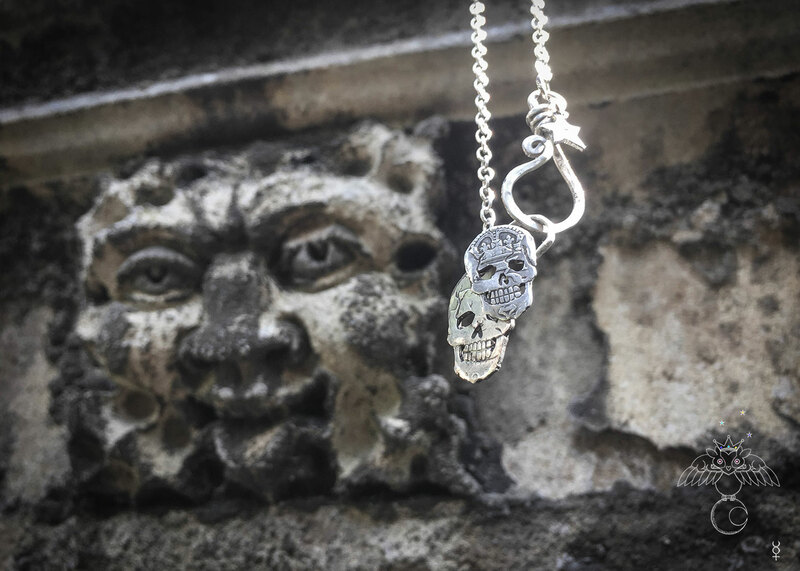 These lovely little skulls are individually handcrafted from 100 year old sterling silver coins. 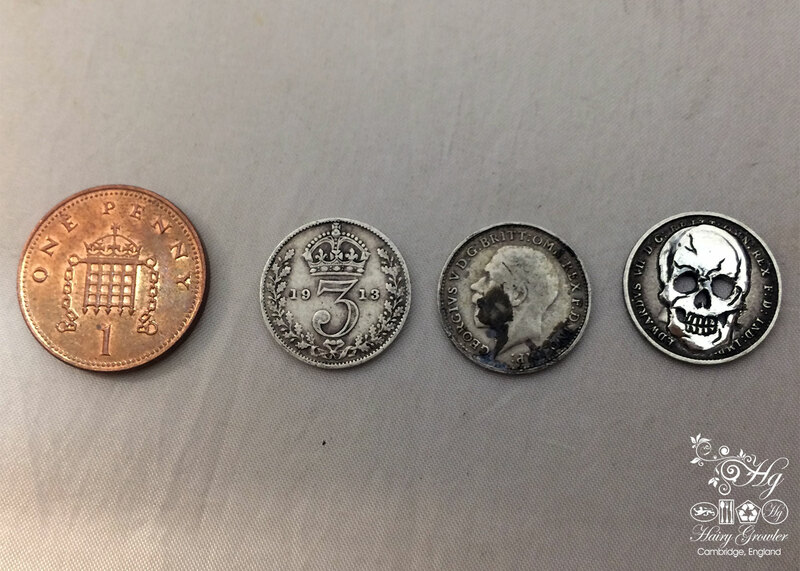 A pair of sixpence and threepence coins are lovingly recycled, these coins are unwanted by coin collectors due to wear through decades of historical transactions. 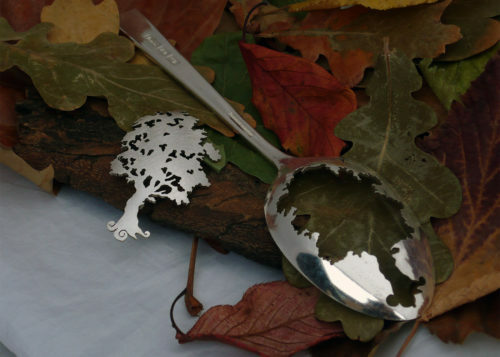 They are particularly difficult to cut, carve and engrave because the space is small at only 16 mm diameter working area. 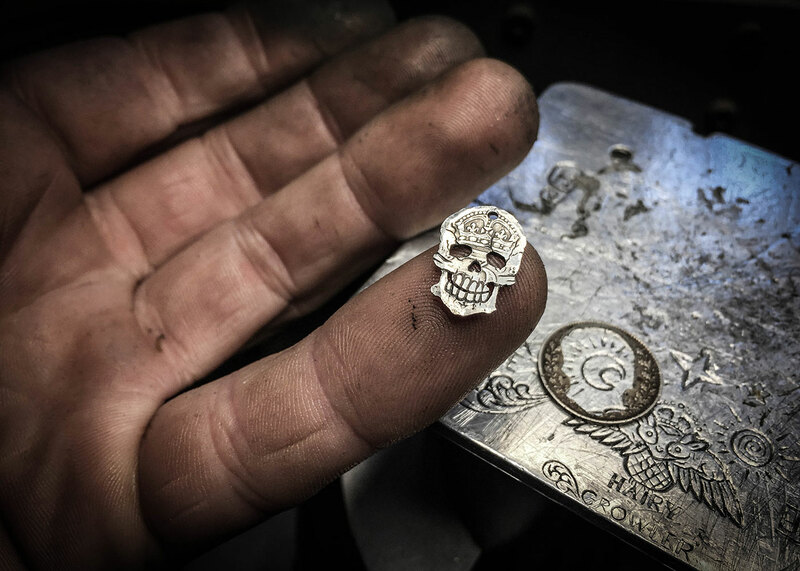 Using an ultra fine marker pen a quick inspired skull sketch is dropped on to the surface of the silver coin. 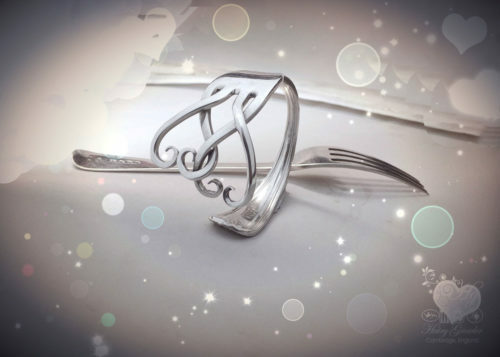 I then meticulously carve away the design with a traditional hand engraving tool and cut details using a traditional jewellers saw. 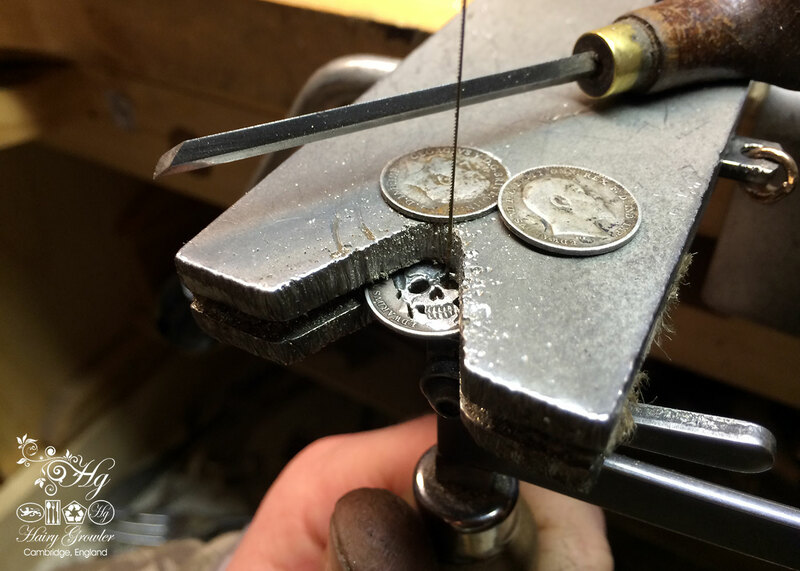 Once the details are cut the pendant is given an extremely bright polishing which really brings the coin to life. 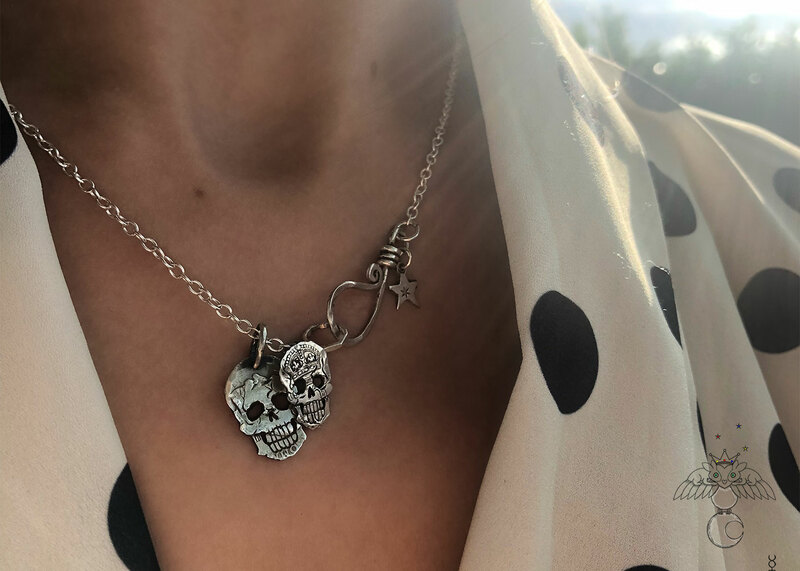 I brought this necklace for my daughter for her birthday , I was so excited when I saw it i had to give it to her 3 weeks early . It is absolutely gorgeous . 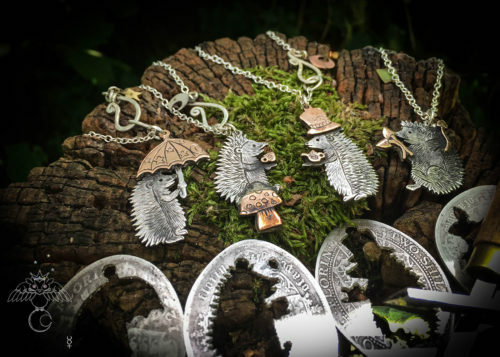 I will definitely be buying more Hairy Growler Jewellery.